This book results from the author's teaching of hydrocarbon process safety over many years and is a companion text to the recently-published Hydrocarbon Process Safety. It contains 90 detailed numerical problems in heat transfer which vary in difficulty. All of them appertain to hydrocarbon safety but what distinguishes the book from others in the same subject area is that the worked solutions to some of the more advanced questions are only provisional. The author has presented solutions, but there will often be scope for refinement or for reworking a problem by a different approach. In other words, even when the 'correct' answer (that is, the one given in the text) has been obtained by the reader there is still scope for discussion, thus creating a valuable teaching/learning tool. 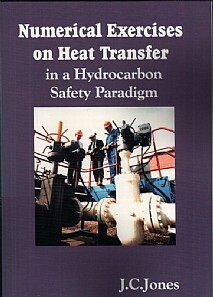 General introduction; Temperature regulation in reactors and pipes; Buried tanks and pipes; Heat transfer coefficients at plant surfaces; Boiling, condensation and refrigeration; Radiation heat transfer in chemical plant; Electrical heating; Response of structures to heat; Heat exchangers; Heat transfer effects in temperature measurement and control; Miscellaneous; Postscript. The book will be of particular use to students, practising engineers and consultants in chemical engineering, mechanical engineering, petroleum/offshore engineering, plant and production engineering, energy engineering and in any course dealing with hydrocarbon processing/industrial health and safety.